Spaghetti squash is amazing to me. Have you ever had it?! It’s a squash, but the insides are stringy in a good way, like spaghetti. You can use them in really any recipe that you would usually use noodles in – oh,and some that you usually wouldn’t. We have spaghetti squash at work from time to time, but I never seemed to make it for myself. I don’t know why – I enjoy eating it, and it’s fairly easy to cook. A few weeks ago, though, I went on a spaghetti squash kick, and it was delicious. 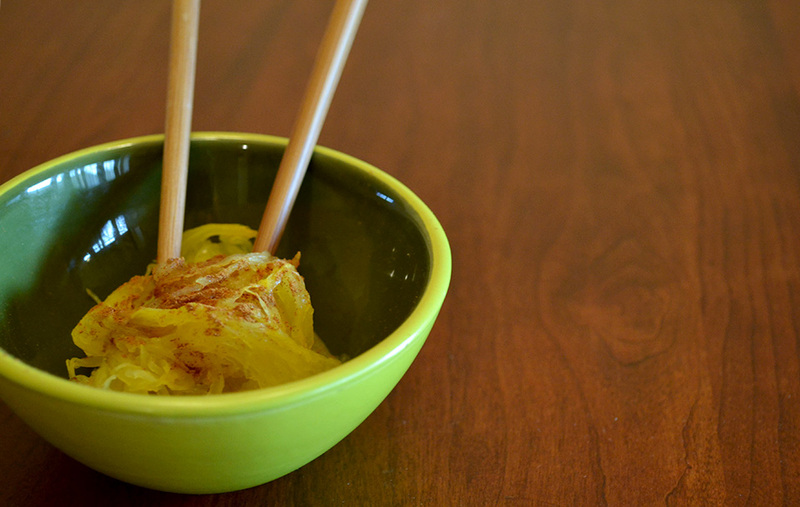 This recipe is a little different take on spaghetti squash – a sweet take. A friend at lunch a few weeks ago suggested I try something similar. At first I was skeptical, but it showed up and impressed. 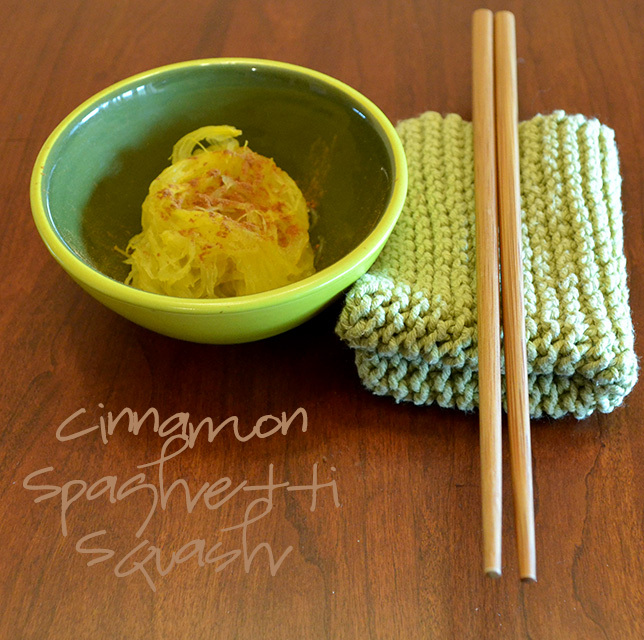 Way to go, spaghetti squash! This is a great way to use up some extra squash (after using part of it for a savory meal), or to make a super healthy dessert. Still haven’t tried spaghetti squash… Came so close once, but it was sprouting inside when I cut it open and I was too skeeved out to eat it. Maybe one day! Amanda @ .running with spoons. recently posted…. link love 4/20 .